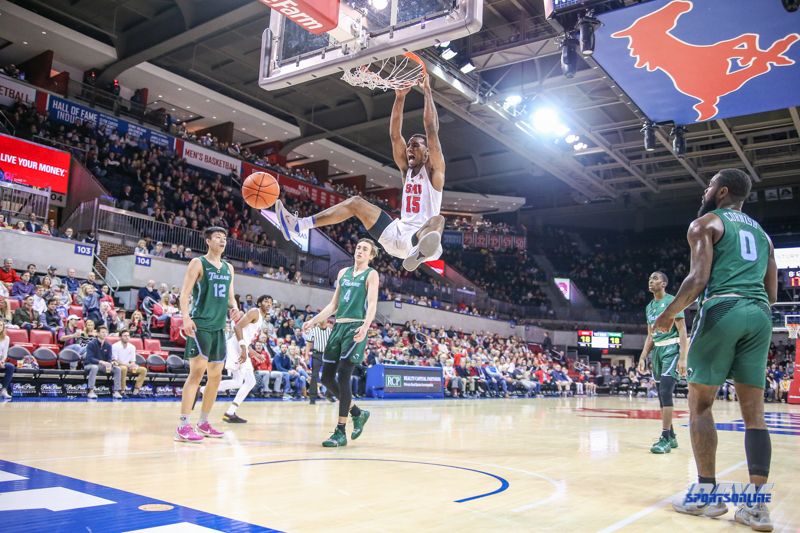 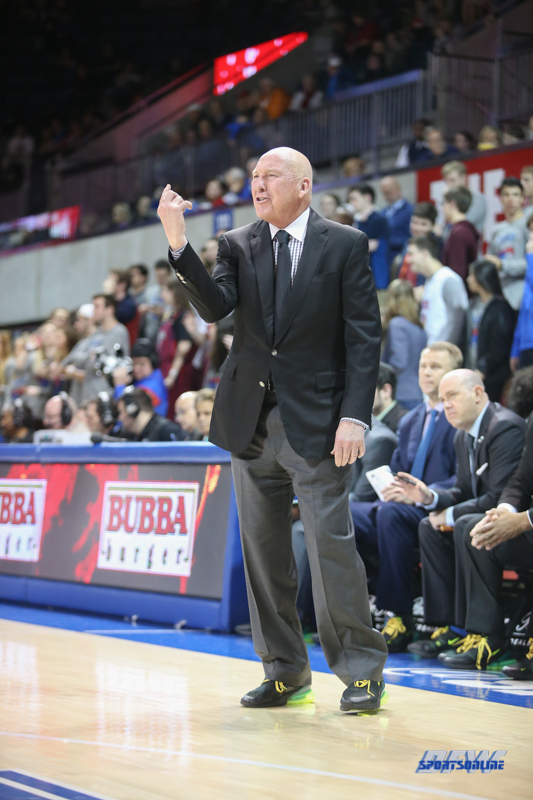 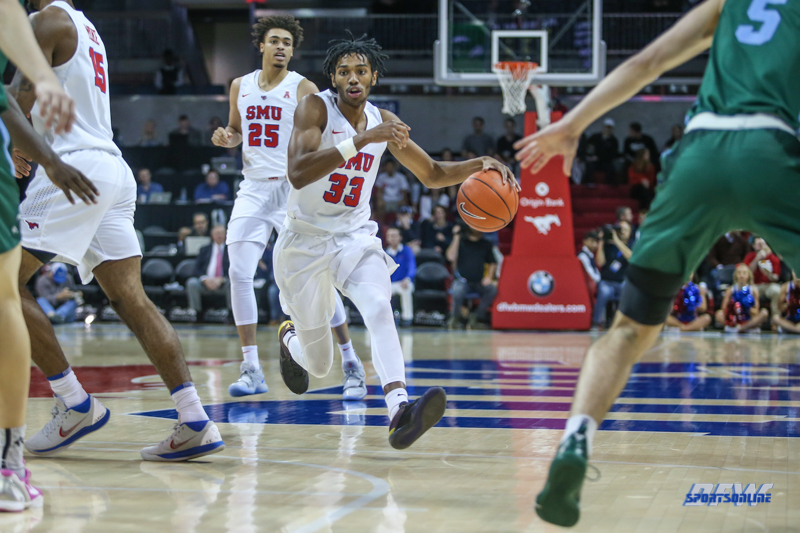 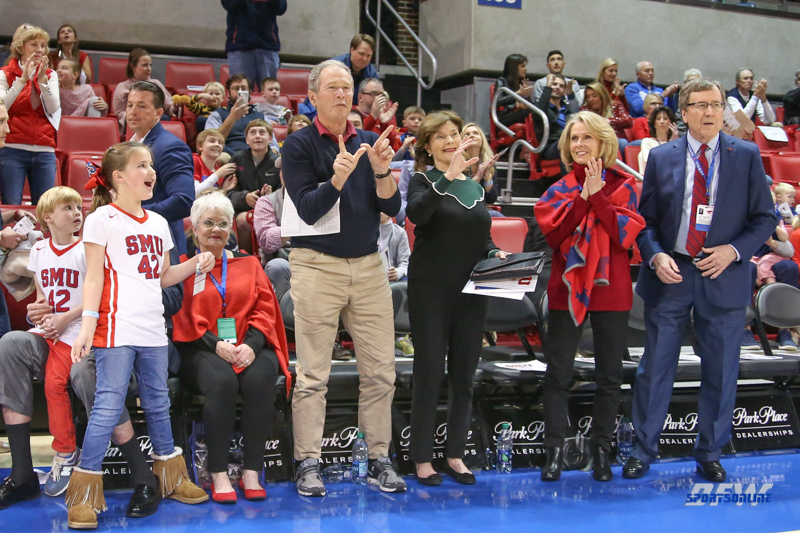 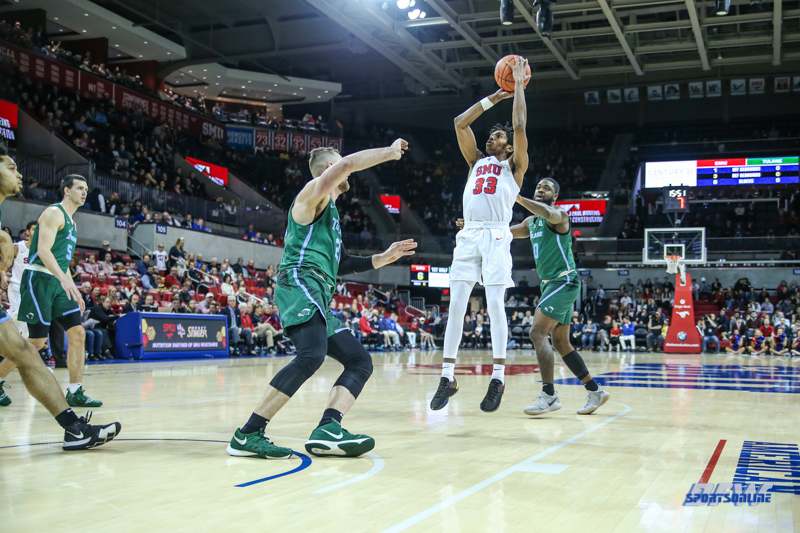 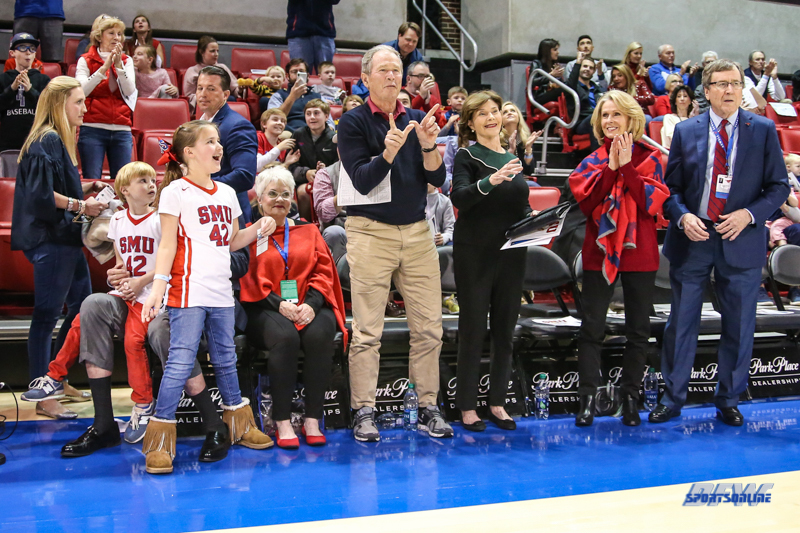 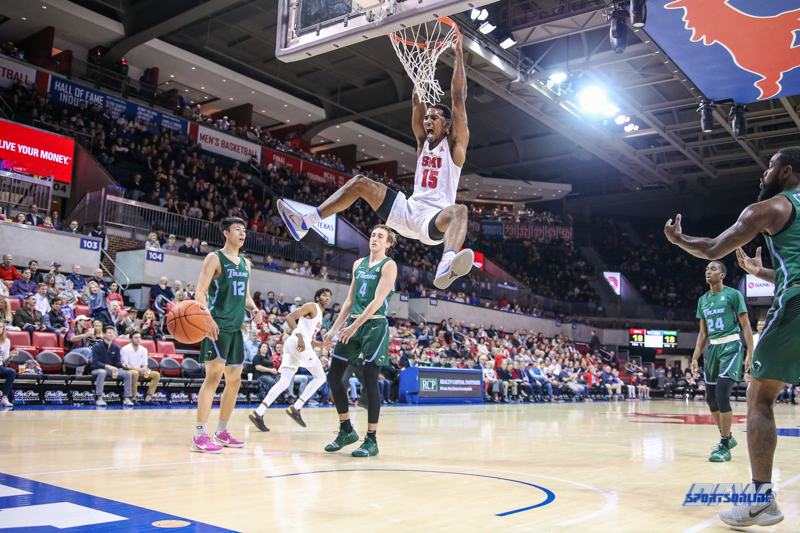 In a back-and-forth game that featured 11 lead changes, SMU men’s basketball took control in a flash. 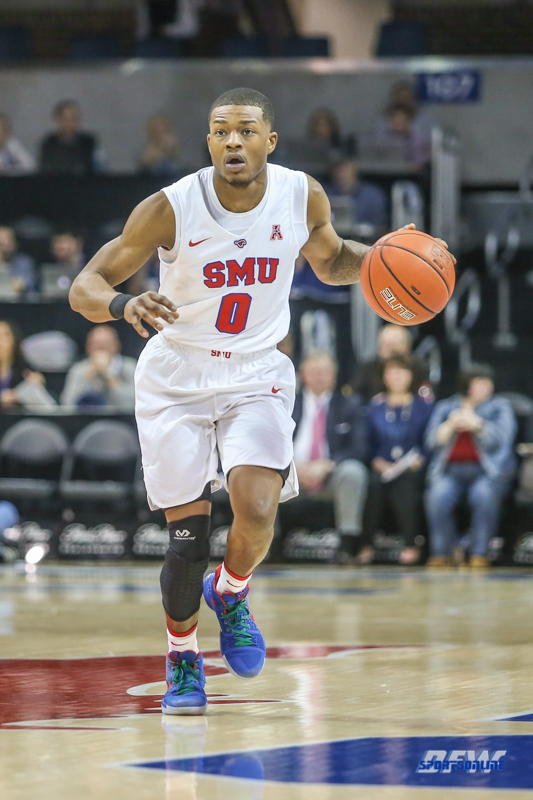 Holding a slim, two-point lead late in the second half, senior guard Jahmal McMurray drained a three from the wing. 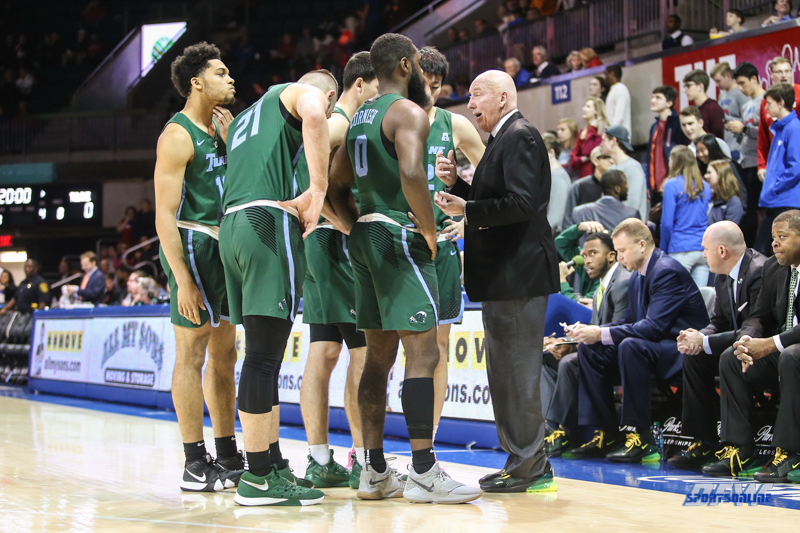 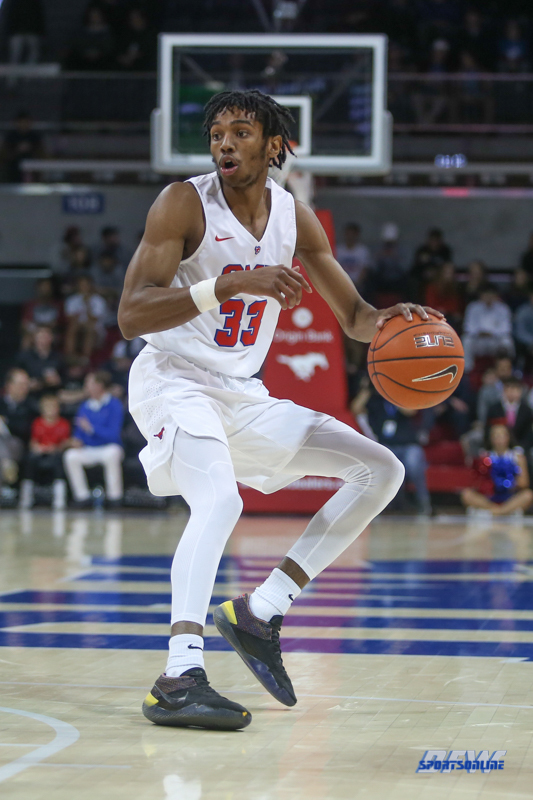 Sophomore forward Isiaha Mike made a three mere seconds later, then on the following possession McMurray went coast-to-coast, turning a defensive rebound into a driving lay-up and putting the Mustangs up 76-66 over Tulane with two minutes to play. 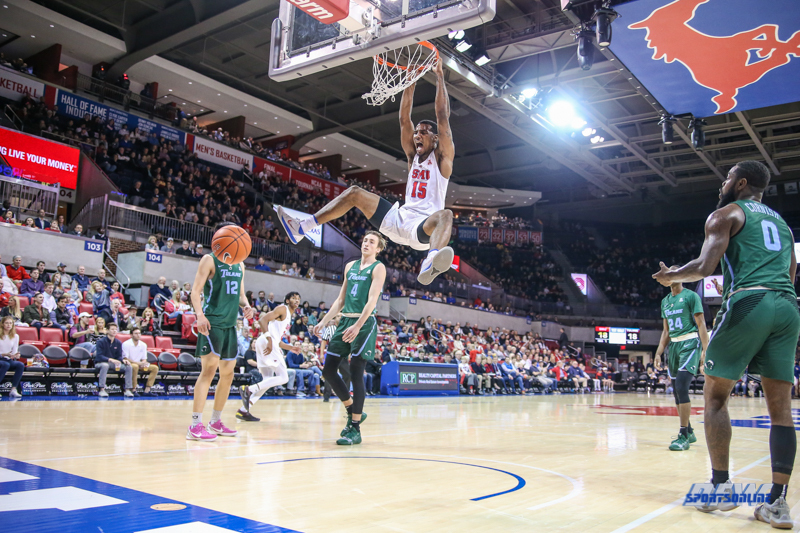 Freshman Feron Hunt put the exclamation point on the win moments later. 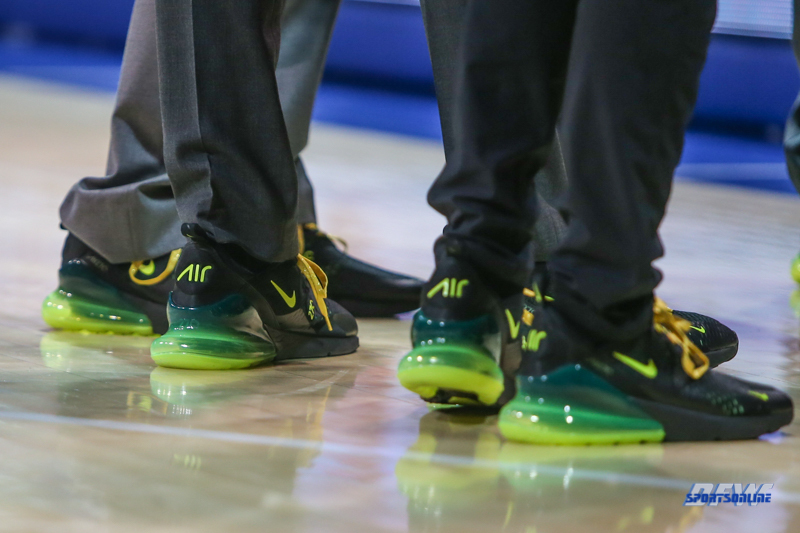 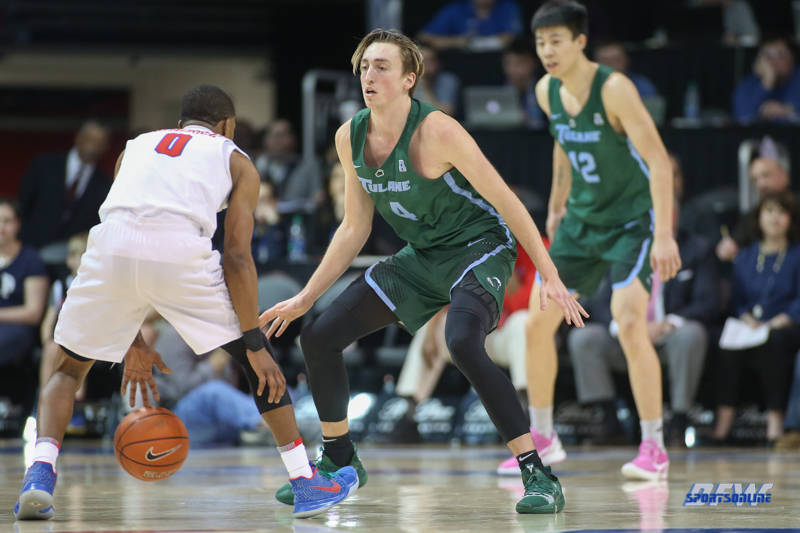 With the Green Wave looking to foul, Mike found McMurray in stride on the fast break. 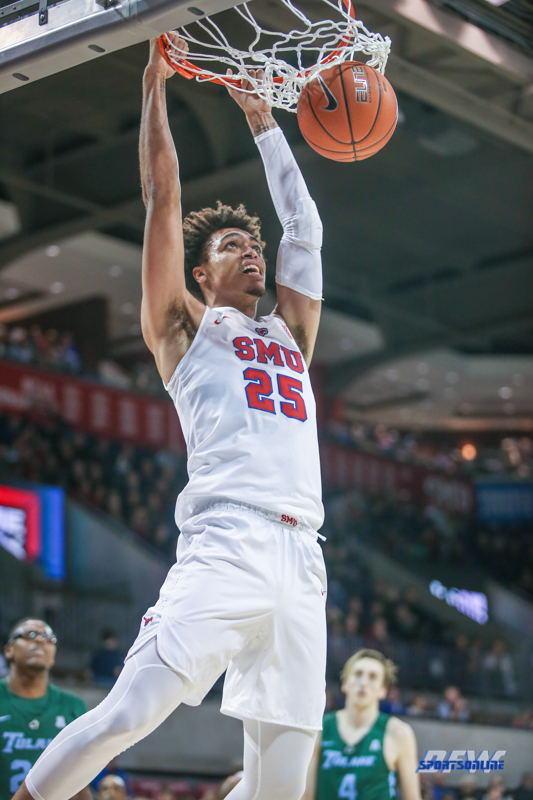 McMurray lobbed a pass towards Hunt, who seemed to float in the air forever before slamming home the alley-oop dunk. 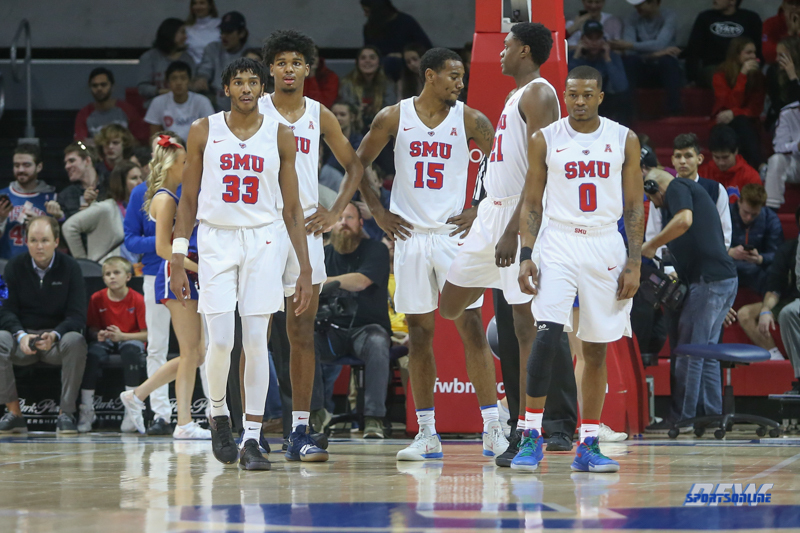 Moody Coliseum erupted in its loudest cheer of the day. 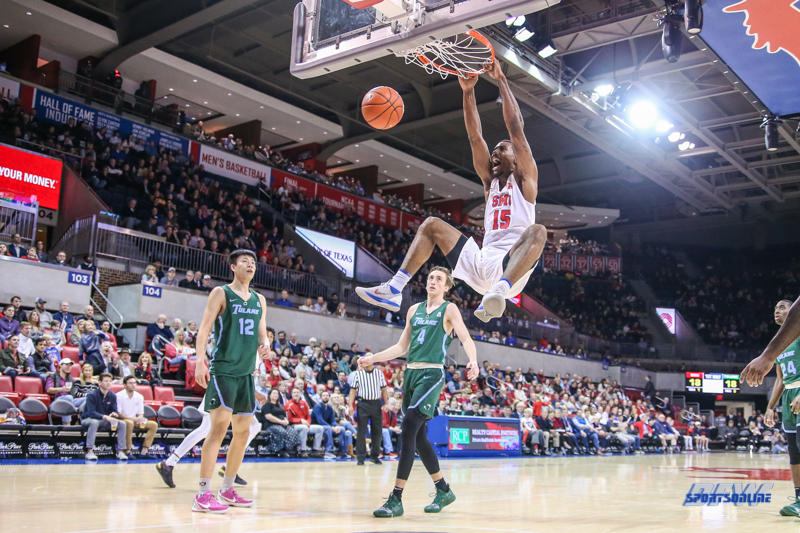 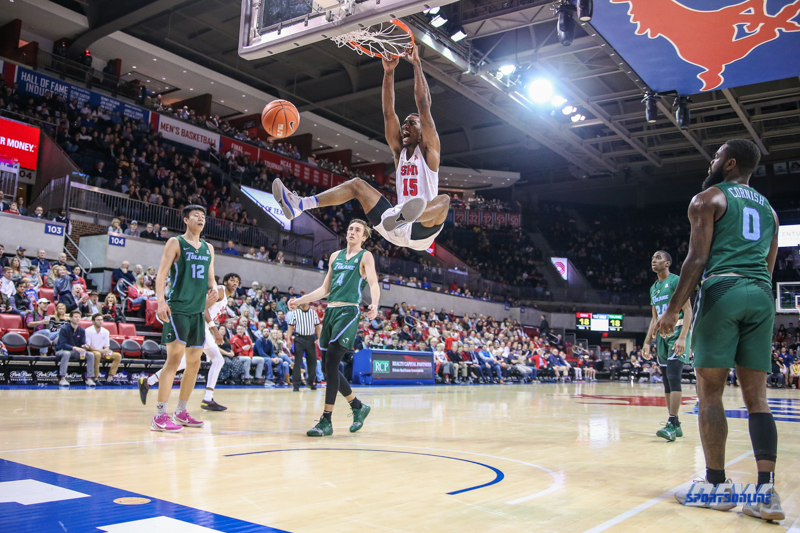 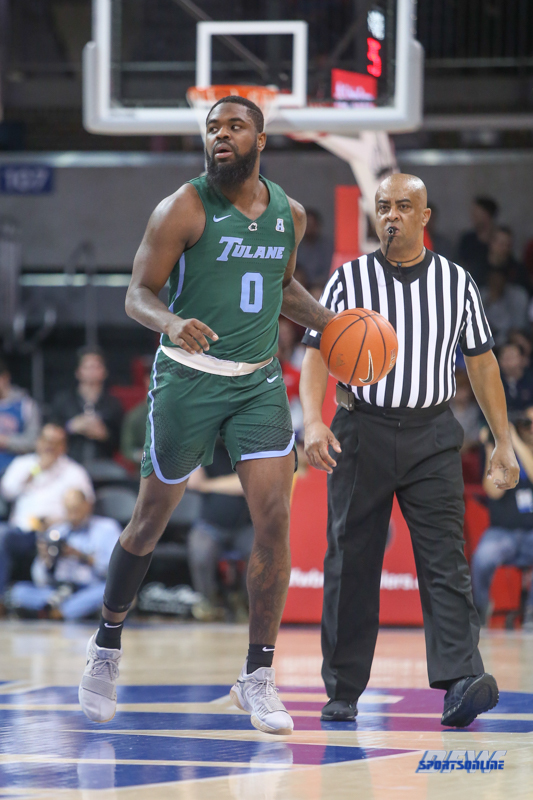 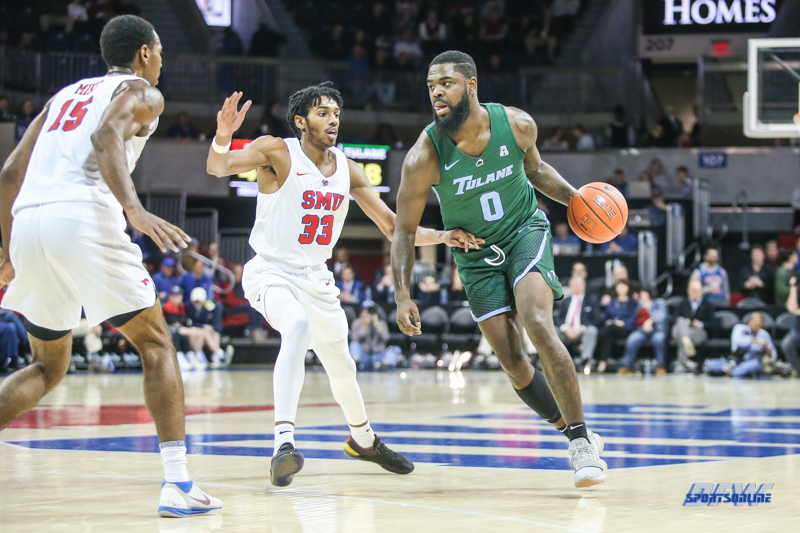 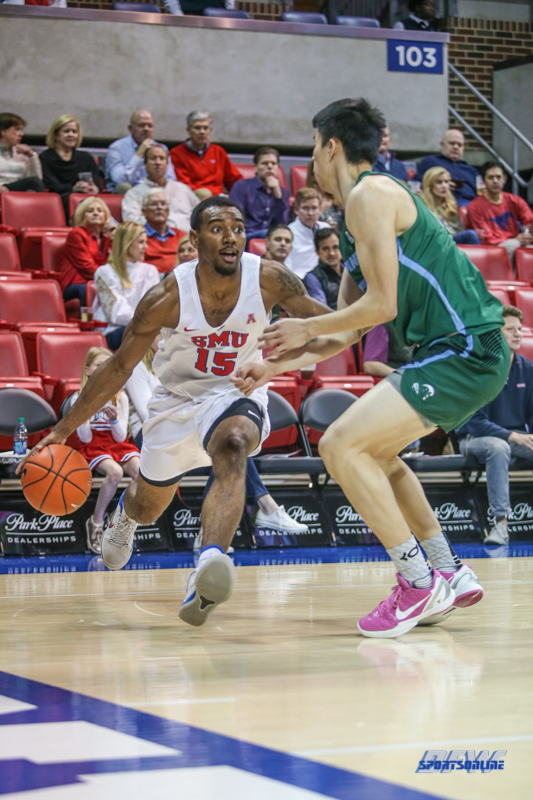 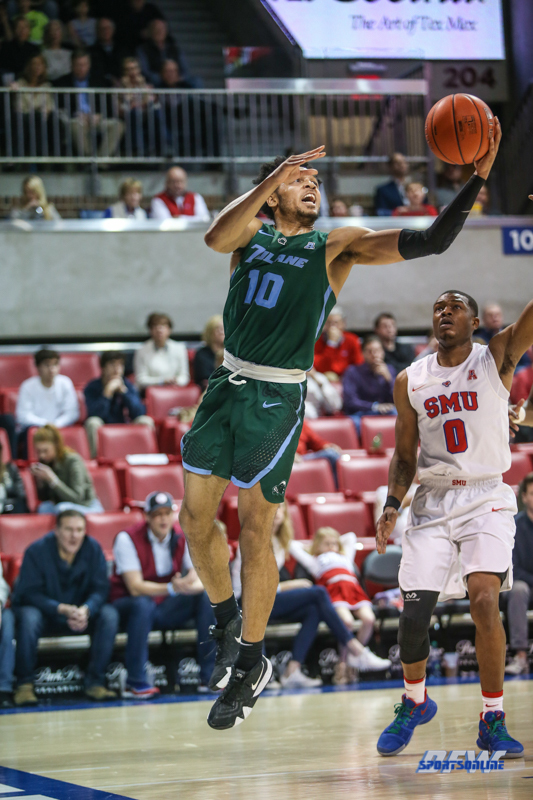 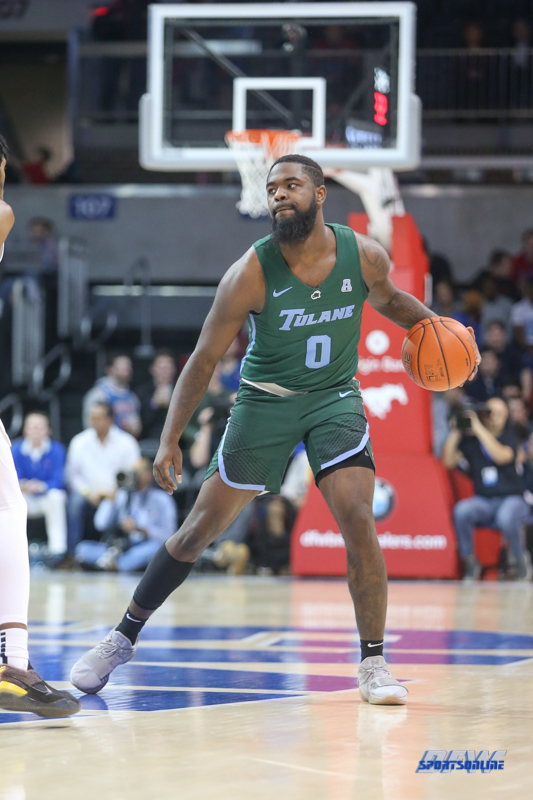 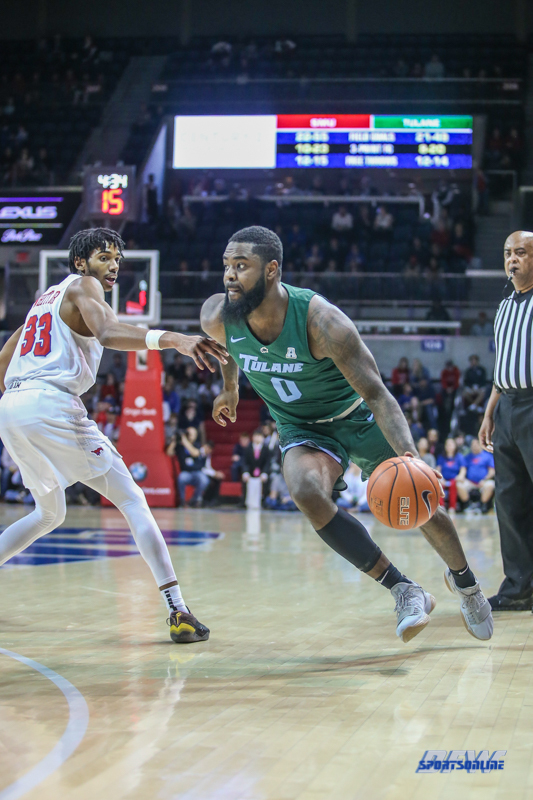 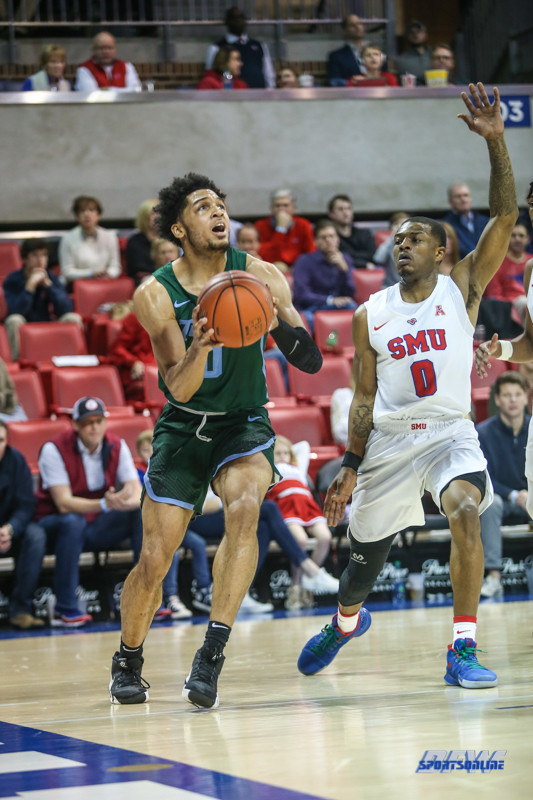 Senior guard Nat Dixon added an extra exclamation point a minute later, stealing a bad Tulane pass and delivering a thunderous one-handed dunk on the fast break to seal SMU’s 85-75 win. 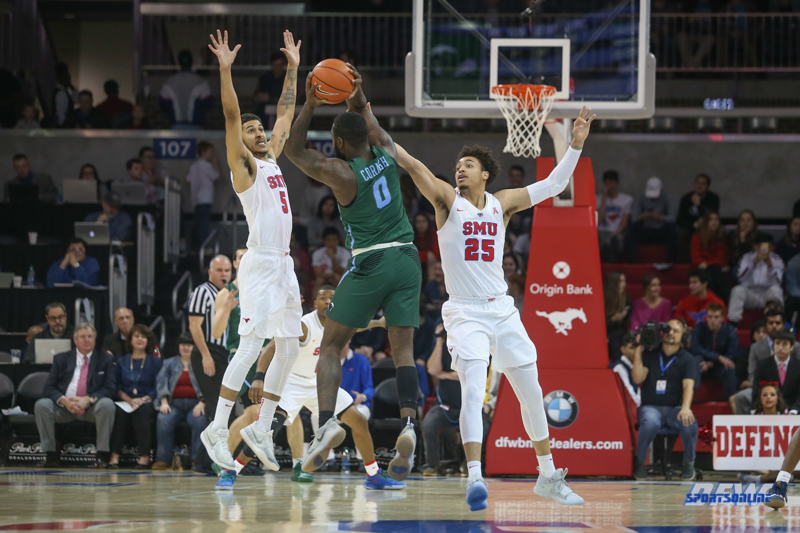 McMurray and Mike were the spark that ignited the game-clinching run, but they were also the best offensive performers of the game. 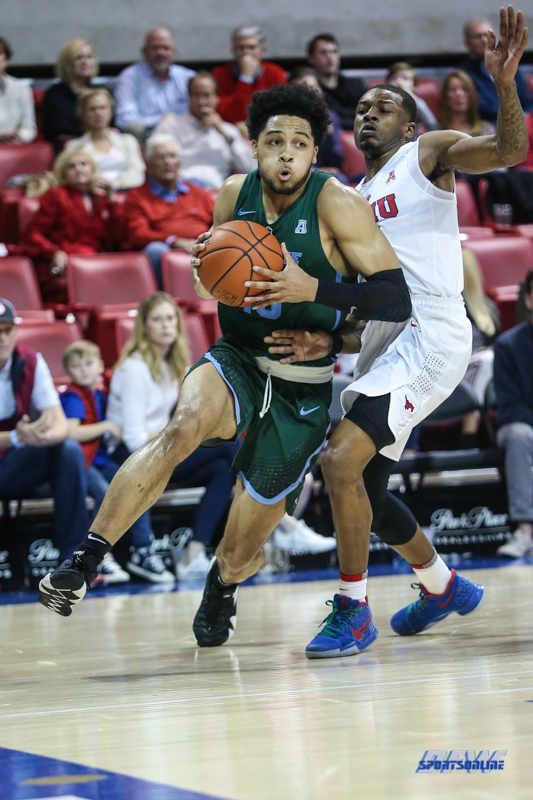 McMurray bounced back from his worst scoring performance of the season (6 points at Memphis), exploding for 29 points on 10-of-18 shooting, including 5-of-9 from three-point range. 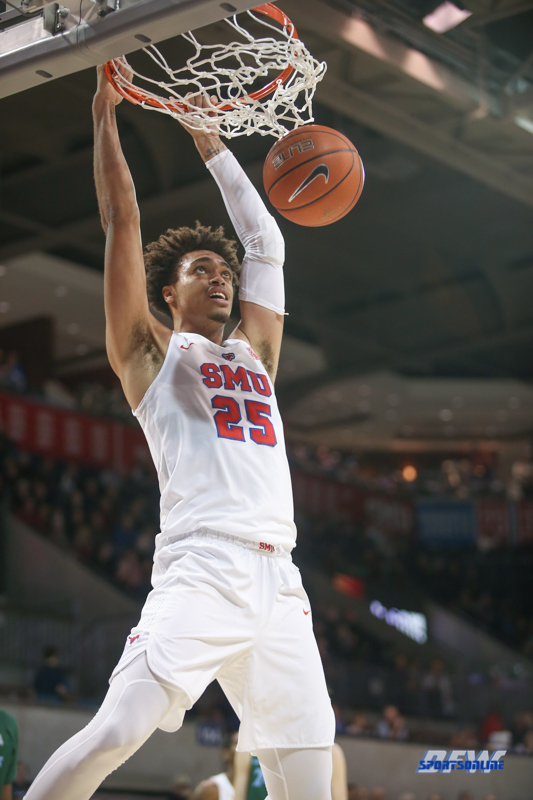 Mike set a season high with 20 points on 7-of-10 shooting, including a perfect 5-of-5 from three. 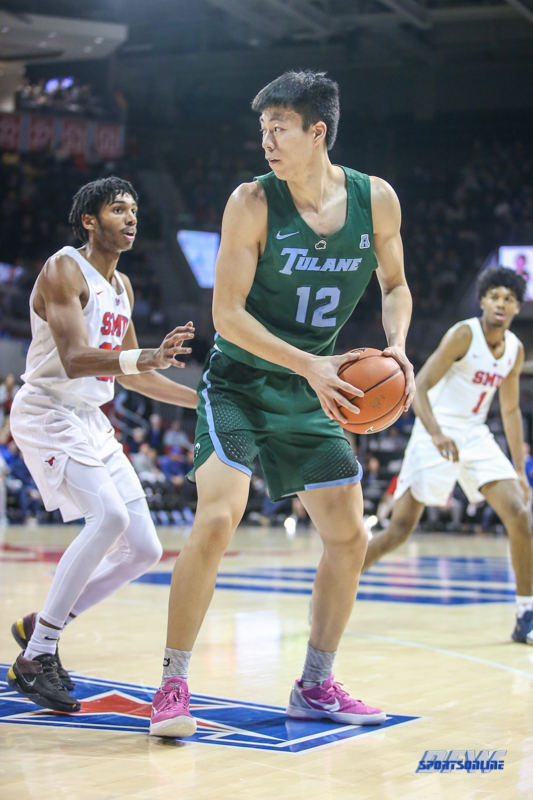 Mike had three turnovers by the first media timeout, at which time Jankovich subbed him out of the game. 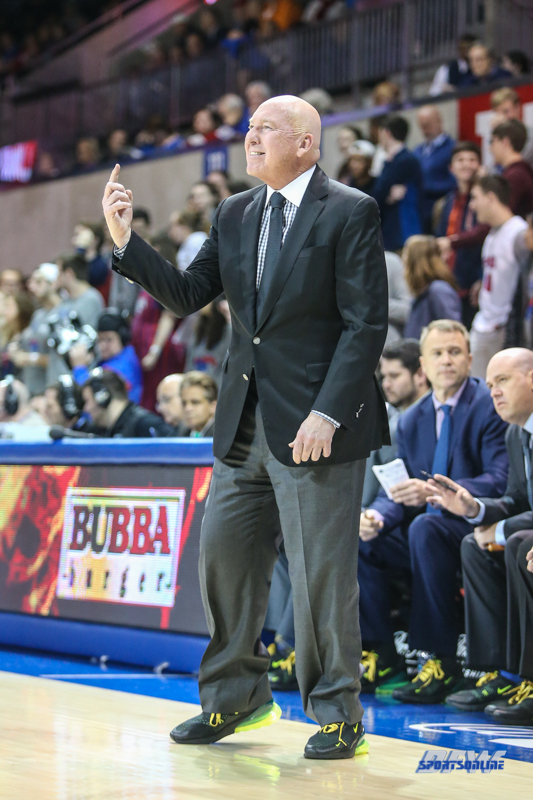 After the break, he came out in the zone. 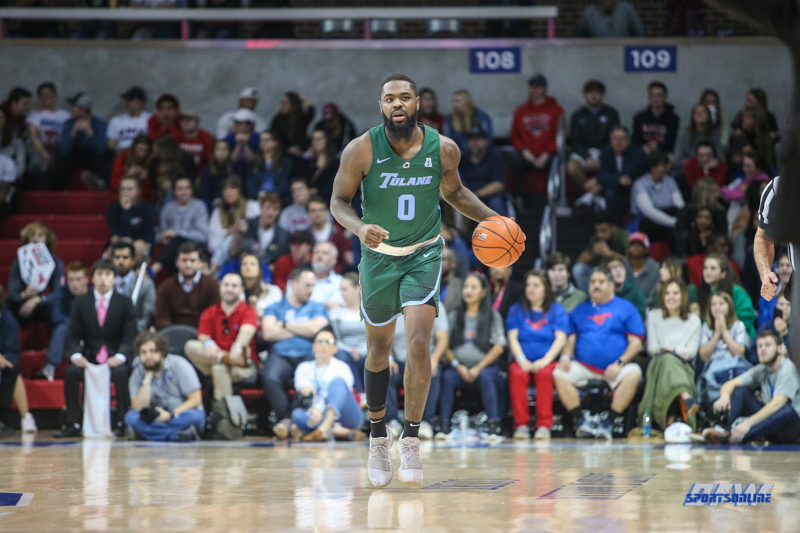 Junior guard Jimmy Whitt Jr. didn’t have a prolific scoring night (7 points on 2-of-7 shooting), but grabbed six rebounds and dished eight assists, his second-highest total of the season. 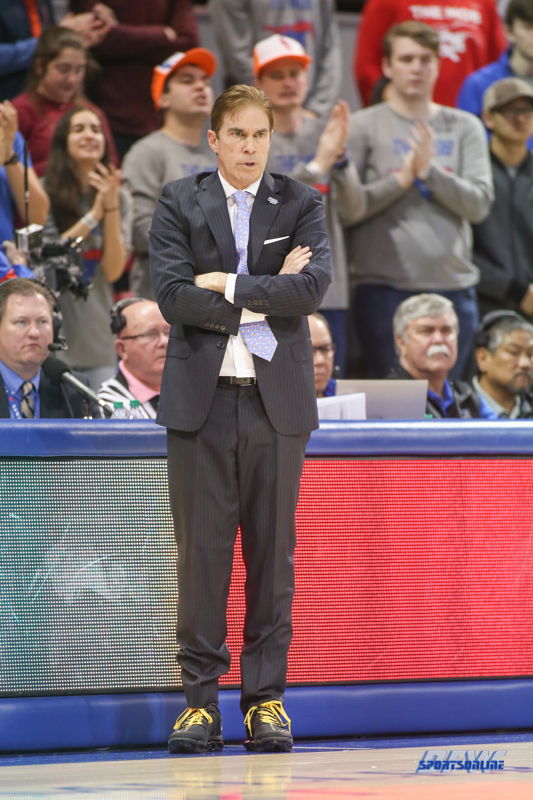 Over half of Mike’s threes came from Whitt driving, then kicking out to the top of the key for Mike. 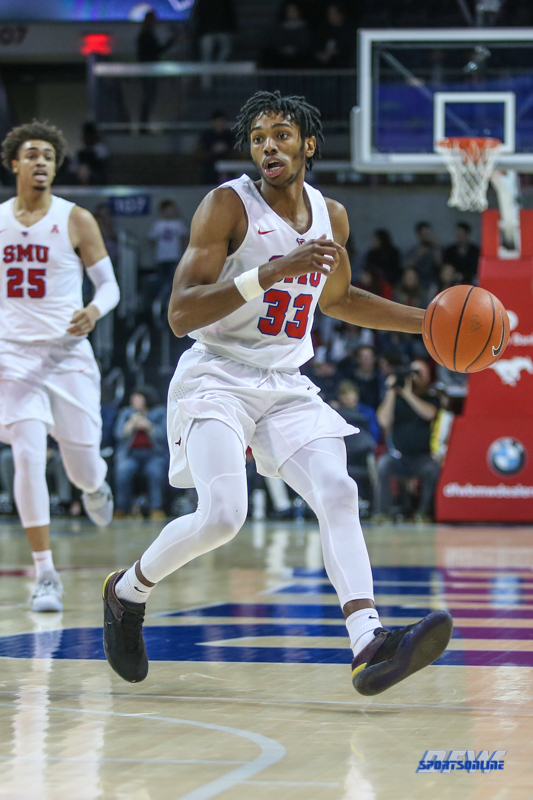 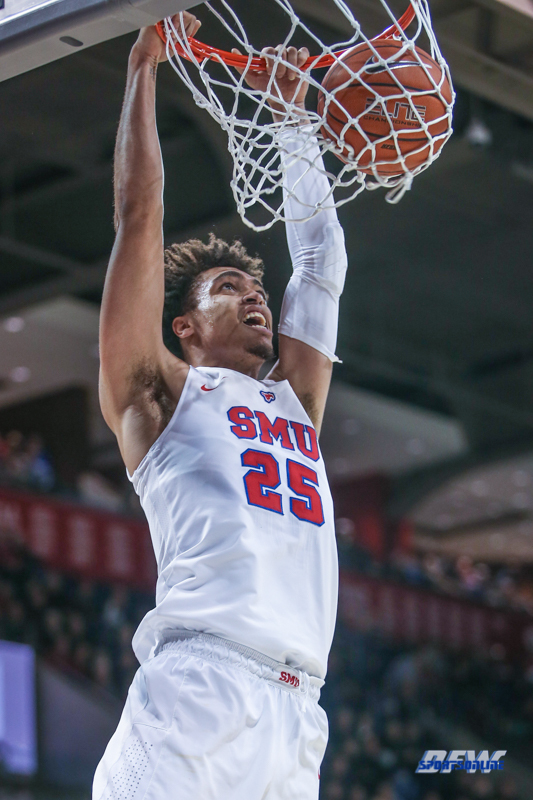 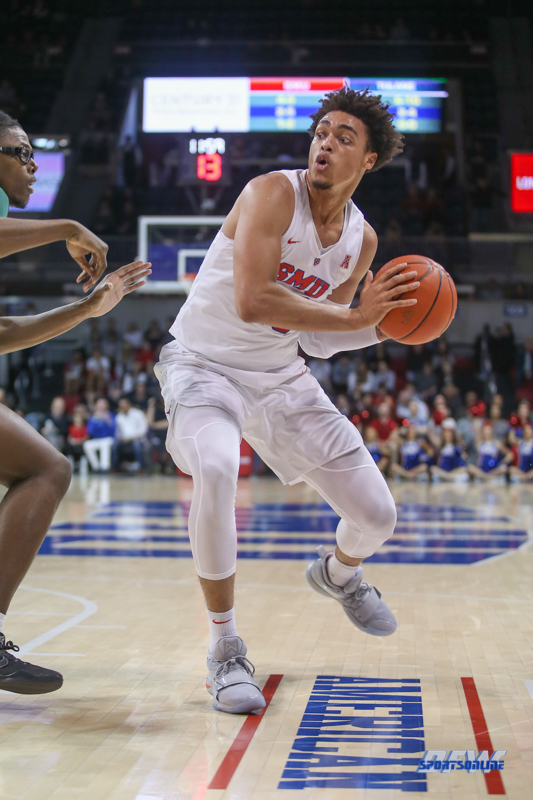 SMU improved to 8-1 on the season when placing four scorers in double digits, as Dixon and sophomore Ethan Chargois each poured in 11 points. 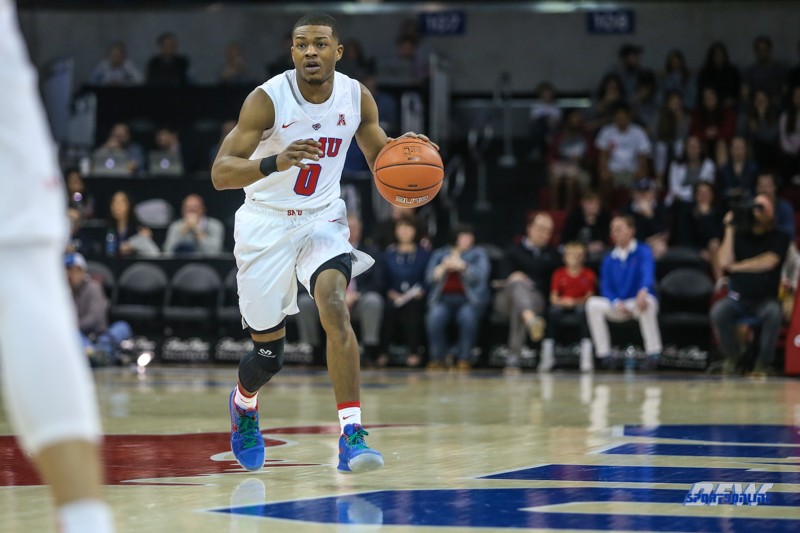 Chargois made an impact in the first half with nine points and seven boards. 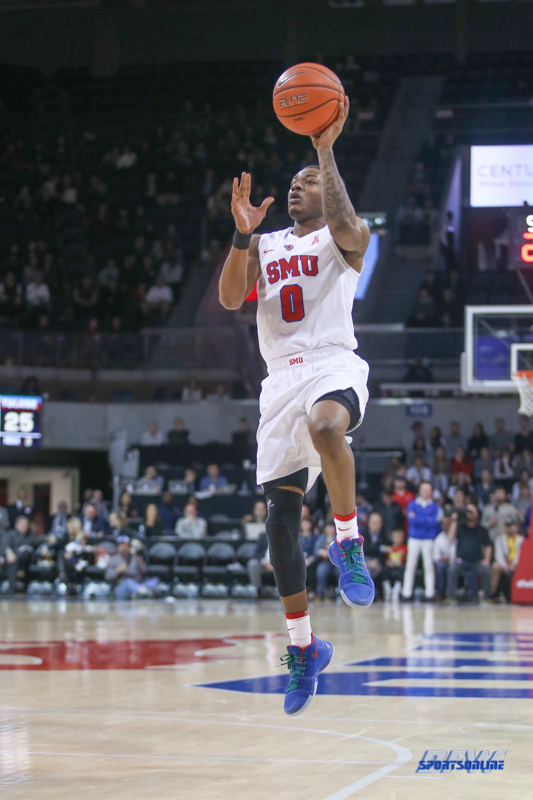 Early on, he made a diving hustle play to save an offensive rebound from going out of bounds. 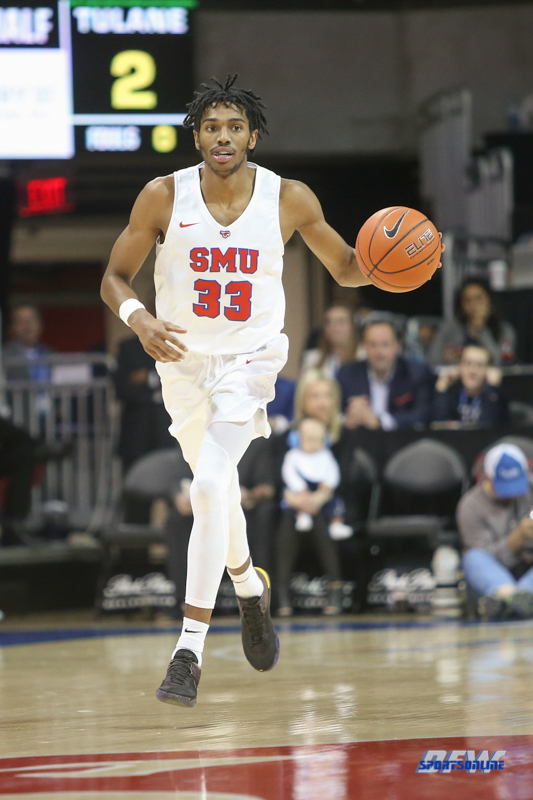 Later in the possession, he was rewarded with an open look from three, which he knocked down. 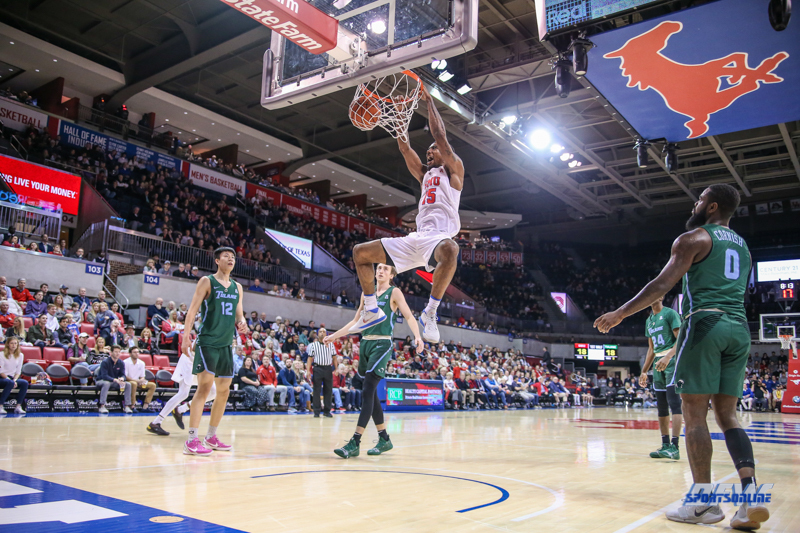 Dixon didn’t score in the first half, but his first points of the game came on a three-pointer that tied the contest at 54-54. 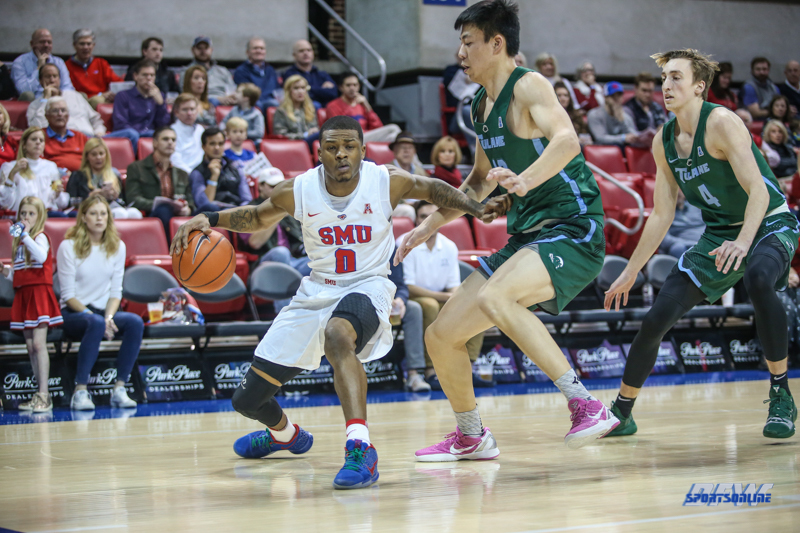 His 6-of-6 performance from the free throw line was crucial for SMU to close out the win. 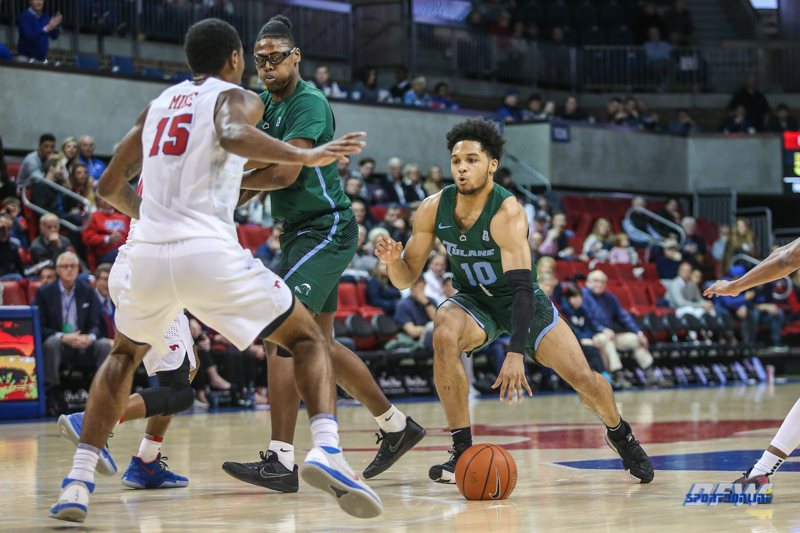 Tulane held a 35-32 advantage at halftime, but SMU increased its effort in the second half and won the period 53-40. 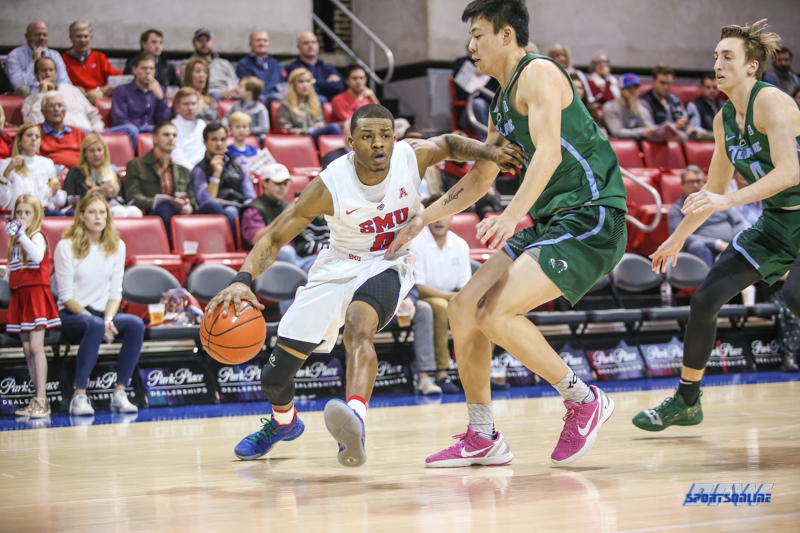 SMU improved to 12-7 overall and 4-3 in American Athletic Conference play with the win. 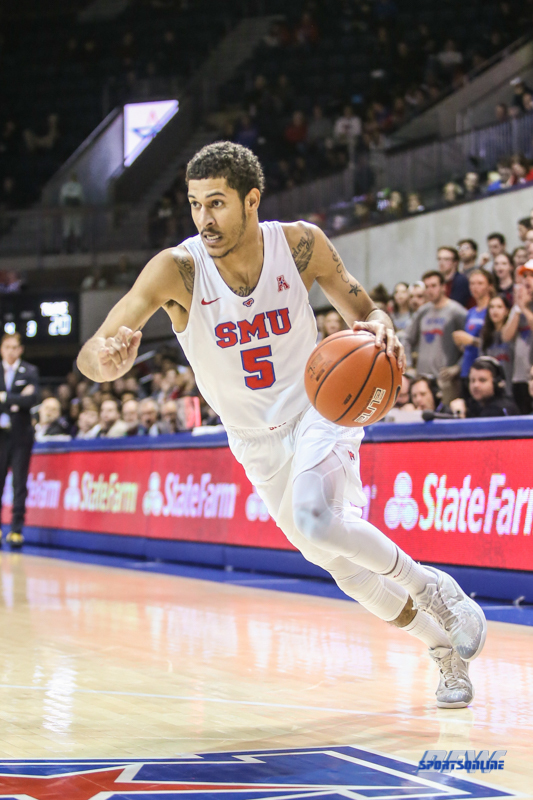 Next up on the docket for the Mustangs is a road game at Wichita State on Wednesday, Jan. 30. 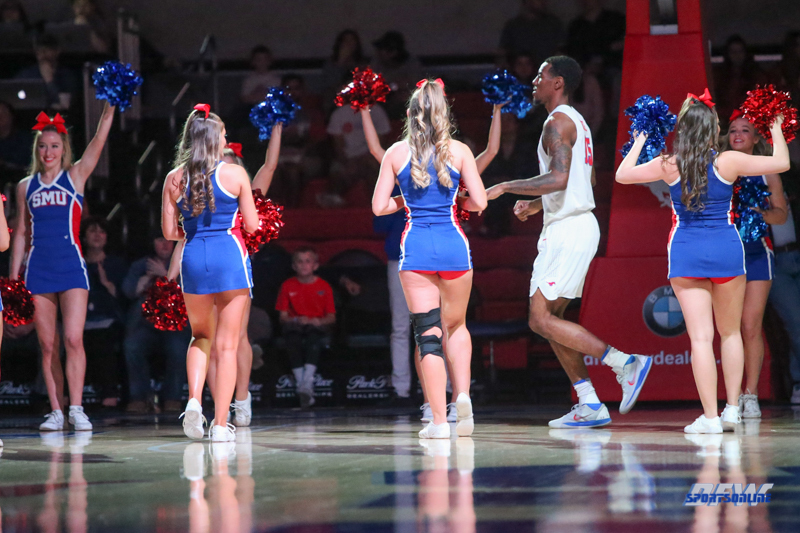 The game will be shown on ESPNU with tipoff scheduled for 8 p.m.